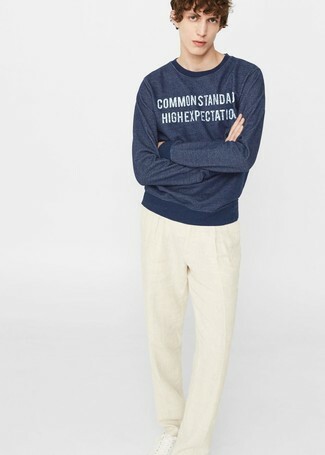 This combo of a navy print sweatshirt and beige linen dress pants is so easy to throw together without a second thought, helping you look stylish and ready for anything without spending too much time searching through your wardrobe. Grab a pair of Nike air force 1 07 sneaker to make the look more current. A navy denim jacket and grey shorts are the kind of a never-failing off-duty ensemble that you need when you have no extra time to spare. If you're wondering how to finish off, a pair of Nike white leather low top sneakers is a nice idea. Contrary to what you might believe, being a dapper dude doesn't require that much effort. 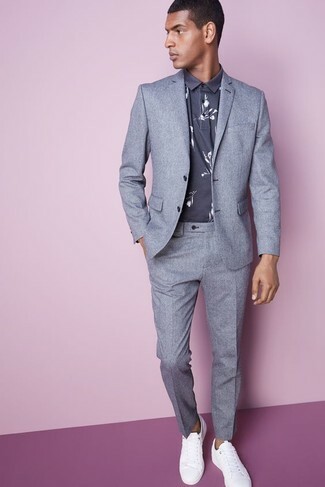 Just go for a grey suit and a grey floral polo and you'll look awesome. Want to go easy on the shoe front? Grab a pair of Nike air force 1 07 sneaker from Nordstrom for the day. 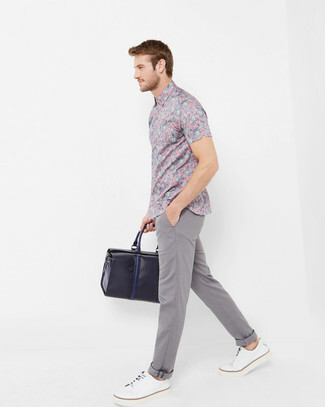 If you're on the hunt for a casual yet on-trend outfit, wear a pink floral short sleeve shirt with grey chinos. Both items are totally comfortable and will look great paired together. When it comes to shoes, this ensemble is round off perfectly with Nike air force 1 07 sneaker. 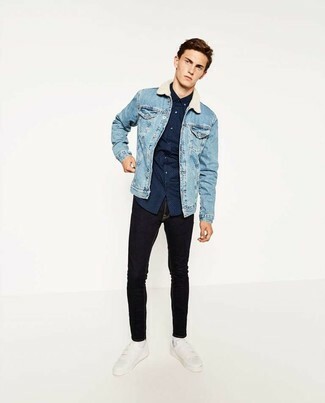 This combo of a light blue denim jacket and black skinny jeans is effortless, dapper and so easy to imitate. When it comes to shoes, this ensemble is round off wonderfully with Nike air force 1 07 sneaker. 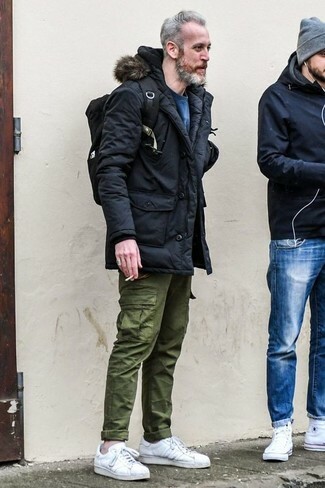 If you're a fan of relaxed dressing when it comes to fashion, you'll love this stylish pairing of a black parka and olive cargo pants. To add elegance to your getup, complement with Nike air force 1 07 sneaker. 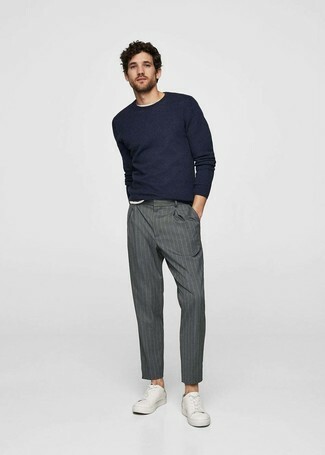 This combination of a navy crew-neck sweater and grey vertical striped dress pants is very easy to make up in no time flat, helping you look awesome and ready for anything without spending a ton of time rummaging through your arsenal. To bring out the fun side of you, finish off your look with white leather low top sneakers. 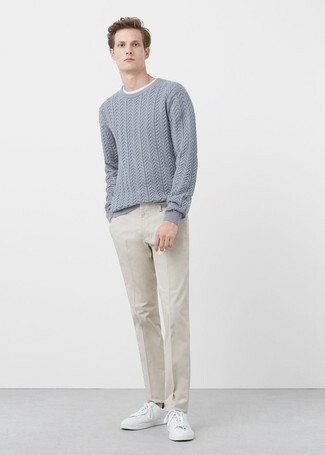 For a nothing less than incredibly stylish ensemble, wear a grey cable sweater with beige dress pants. Go for a pair of white leather low top sneakers to make the outfit current. 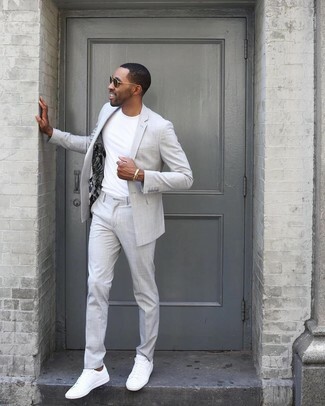 For a casually elegant ensemble, wear a grey suit with a white crew-neck t-shirt — these two pieces go perfectly well together. 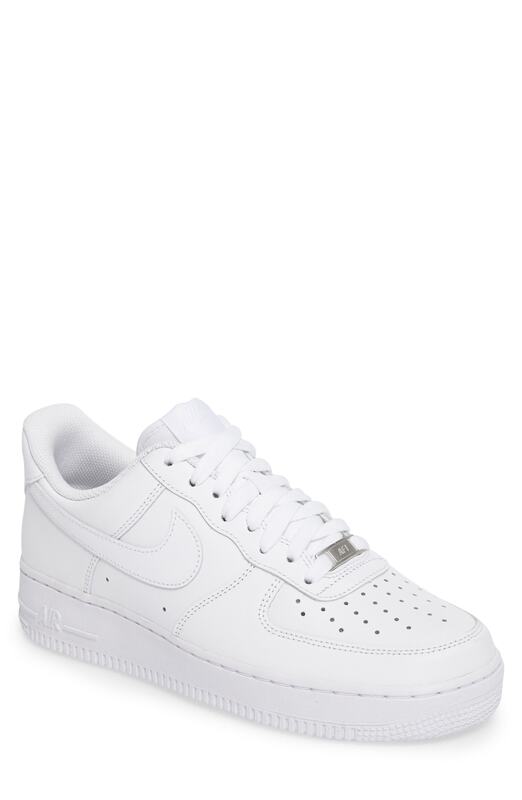 Add a more relaxed twist to your look with Nike air force 1 07 sneaker from Nordstrom.